The first and only Iowa State University graduate to see the Earth from orbit is making his second journey into space. Astronaut Clay Anderson and six crewmates blasted off in a spectacular predawn launch aboard the shuttle Discovery early this morning from Kennedy Space Center in Florida. The shuttle will rendezvous with the International Space Station where the 51-year-old Anderson is scheduled to make three spacewalks. 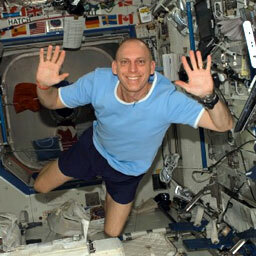 In this Radio Iowa interview from 2007, Anderson says spacewalking is a thrilling experience. Anderson is from Ashland, Nebraska, a small community between Lincoln and Omaha, so he considers himself a small-town guy. Anderson says today’s students have more opportunities than ever before and should they pursue their dreams — even into space. Anderson got a bachelor of science degree in physics at Hastings College in 1981 and a master of science in aerospace engineering from Iowa State University in 1983. 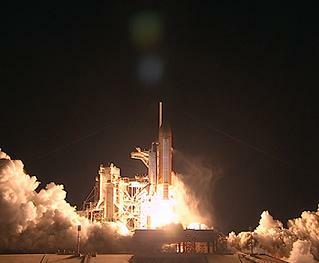 Liftoff of Discovery came at 5:21 AM/Central time. The 13-day mission is among the last to use NASA’s space shuttles, which are being retired later this year.